Lovely stylish award, comes with silk-lined presentation box. 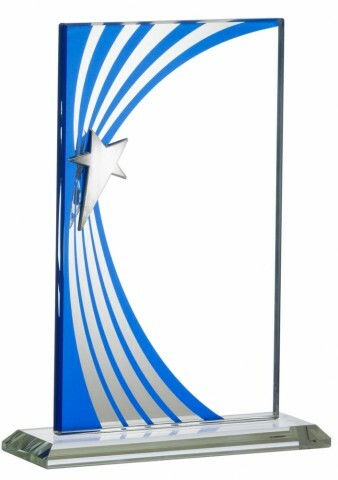 Front of trophy can be engraved with your choice of wording and/or a logo. Please see below for your engraving options. You may also upload a logo directly to us for engraving onto the award. If doing so please ensure the picture is pure black and white, no grayscale or gradients and preferably in vector format .ai, .eps, or .cdr. If jpeg then please send the highest quality you have. In some cases, depending on the artwork you have there may be a small artwork charge if our designers have to redraw your logo. We always try to be fair and will price each job individually and take into account how much you are ordering. Artwork charges vary from £5.00 upto around £30.00 if the design is very complex. For your peace of mind please feel free to contact us on 01933 279812 to discuss your engraving requirements. Please note: Artwork charges are only applicable IF your design is of a very low quality, we will always endeavour to work with your existing artwork wherever possible.